SicKids is a new charity that believes every child should have every chance of good health, every chance of happiness and every chance of protection from harm. Today, 20 October 2015, marks one year since Professor Andrew Rowland’s Churchill Fellowship report, Living on a Railway Line, was launched at MediaCityUK. This report is aimed at turning the tide of child abuse and exploitation as well as improving the protection of children and young people in the United Kingdom (UK) and beyond. It was this report that directly led to the founding, by Professor Rowland in June 2015, of SicKids. With a board of five fantastic trustees, SicKids will raise funds to be able to support projects working with children and young people in Cambodia and the North West of England. Since the launch of the report Professor Rowland has liaised with stakeholder organisations and has developed his initial proposals set out in the report, now believing that there should be mandatory reporting of child abuse and neglect (including exploitation, trafficking, modern slavery, physical abuse, emotional abuse, neglect and sexual abuse) by regulated professionals working with children and young people in the UK. 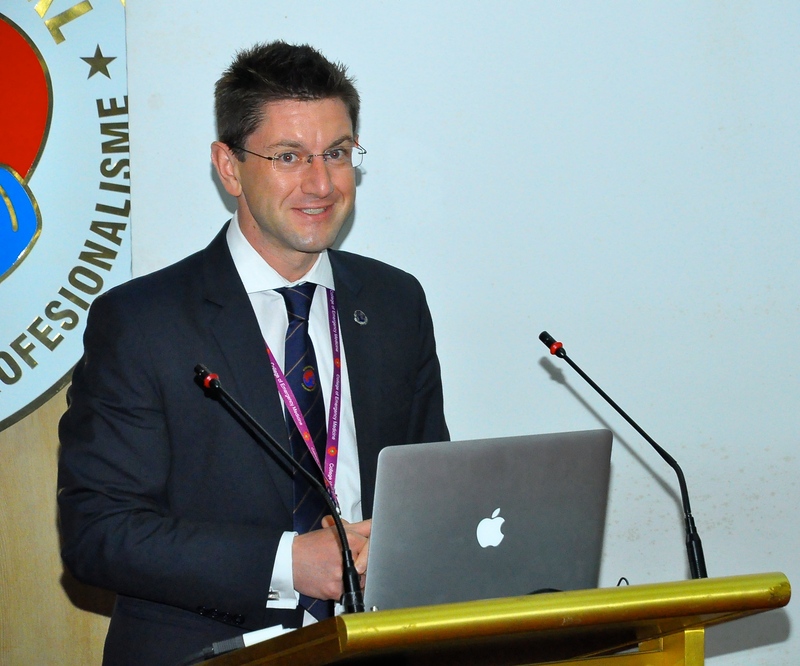 Over the course of the last year Professor Rowland has lectured nationally and internationally to disseminate the findings of his report, including in Cambodia, Singapore, Salford and at a special event at Blenheim Palace to mark the 50th Anniversary of the creation of the Winston Churchill Memorial Trust. 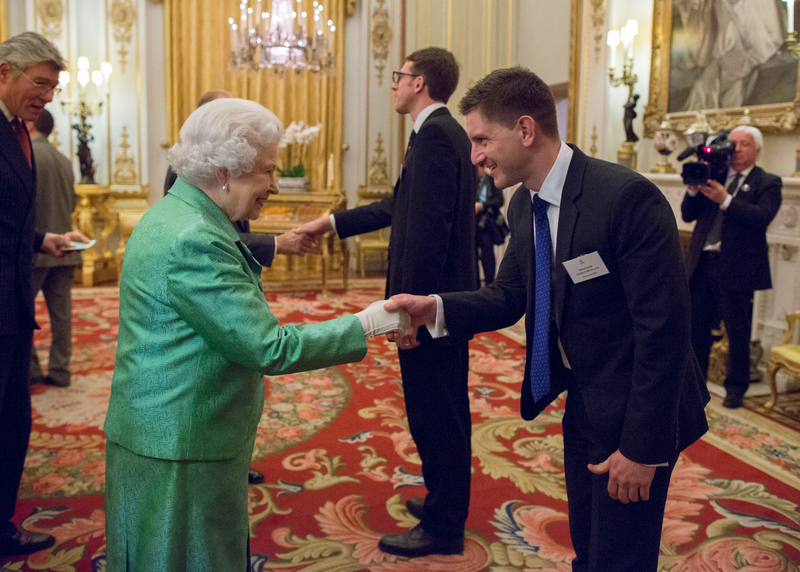 In March 2015 Professor Rowland attended a Reception at Buckingham Palace, hosted by Her Majesty the Queen, where he was able to discuss the recommendations in Living on a Railway Line with senior members of the Royal Family, including Her Majesty the Queen, His Royal Highness the Duke of Edinburgh and His Royal Highness Prince Michael of Kent, and with members of the House of Lords and Sir Winston Churchill’s family. 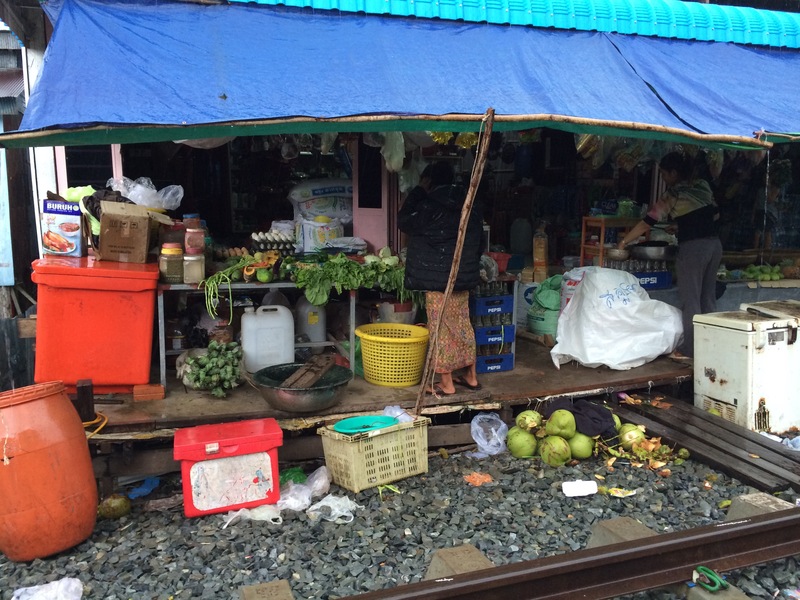 Living on a Railway Line has also resulted in the launch of a new three-year Global Partnership to help vulnerable children and young people living on and around the beaches and streets of Southern Cambodia. 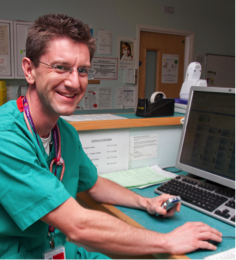 The main goals of the partnership are to share clinical expertise as well as knowledge of child protection, and child health, issues between the partnership organisations so that all can develop and learn new skills from one another. SicKids is in the start-up phase of operations and needs your help! Professor Andrew Rowland said, “The response to Living on a Railway Line has been fantastic over the last year with key individuals and organisations responding positively to the recommendations set out within the report. Particular thanks must go to The Winston Churchill Memorial Trust as well as my University and NHS colleagues for enthusiastic support over the last two years. “It is communities that are best able to protect children from exploitation and other forms of abuse and we can all do more to protect the most vulnerable members of our society. “Children are the future of our global society and that society will only prosper in the future if the children of today are better protected. Every child should have every chance of good health, every chance of happiness and every chance of protection from harm; these are goals that will be at the very forefront of all of the work of SicKids. Living on a Railway Line (http://www.wcmt.org.uk/users/andrewrowland2014) was launched by the University of Salford at an event at MediaCityUK on 20th October 2014 in advance of the 25th anniversary of the signing of the UN Convention on the Rights of the Child. A quarter of a century later, the report finds, there are still laws, policies and procedures in the UK and internationally which fall way short of properly protecting children. Andrew’s Fellowship journey took him to Texas, Arizona, Pennsylvania, Colorado, Singapore, Malaysia, Hong Kong and Cambodia. It was whilst undertaking a mobile health clinic beside a railway line in Sihanoukville, Cambodia that he was inspired to give his report the title Living on a Railway Line. He travelled 35 043 miles, spent 10 weeks away from home, and visited nine cities in five different countries – meeting an outstanding group of enthusiastic and dedicated child protection specialists from around the world. SicKids is a new charity, launched in the UK in June 2015. Every child deserves the right to grow up safe from abuse, exploitation and trafficking. Every child should have every chance of good health, every chance of happiness and every chance of protection from harm. For further information, or to support the work of the charity, please see www.sickids.co.uk or e-mail andrew@SicKids.co.uk. Many events have been held throughout the year to celebrate Sir Winston’s life and legacy (http://www.wcmt.org.uk/about-us/churchill-2015-50th-anniversary-events-and-activity). 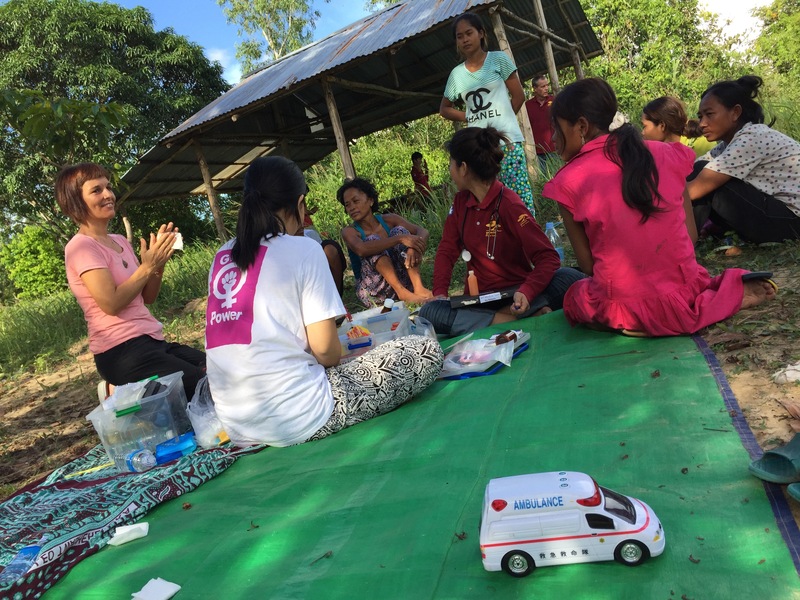 Photograph 2: The new Global Partnership to help vulnerable children in Cambodia will support out-reach clinics such as this one in the Jungle in South West Cambodia. Photograph 3: The team at a medical clinic in South Cambodia being supported by the Global Partnership to help Cambodian children. Photograph 4: The community living on railway line in Cambodia that was the inspiration for the name of Professor Rowland’s Churchill Fellowship report.